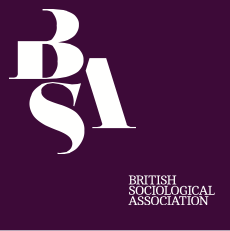 The BSA Postgraduate Forum is looking for a new Events Convenor to join the team. The new convenor’s main role will be to organise and promote events alongside our other Events Convenor and will join the other convenors in maintaining and promoting the Forum more generally. The ‘Events Coordination Convenor’ will take the lead in organising the two annual PGForum events: the autumn event and the pre-conference day event. The Events Convener will invite academic and non-academic speakers, and liaise with the BSA Events Team to plan the event budget, promotion materials and practical arrangements for the day. Together with the other conveners, the Events Conveners will promote and host both events. As this is the most demanding role in the PGForum, it is shared between two convenors. Working in the PGForum will require a not insignificant time commitment, so please do discuss with your supervisor before applying. Also, be advised we encourage applications from those in the early years of their PhD to allow for some continuity in the post. Life as a convenor is busy, and will take time from your research project, but we feel the depth it can add to the whole PhD experience – allowing us to engage and collaborate with postgraduates and senior academics nationally – unquestionably makes up for that. To apply, please email PGForum@britsoc.org.uk an expression of interest in Events Coordinator Co-Convenor post that includes what you could bring to, and how you could benefit from, the role by Monday 15th April 2019. Next postSo, you want to be a researcher? How and where to look for research funding post-PhD, Dr Sally Brown.